Apple watchOS 3: Apple Watch now '7 times' faster, recognises handwriting plus Pokemon Go! Apple's watchOS 3 is here. It's free… And frankly it wasn't here soon enough. It's fair to say Apple's Android Wear rival (that's "rival" in the sense of "massively more financially successful equivalent") watchOS lags a little behind iOS and macOS in the Apple OS hierarchy. Although slightly ahead of tvOS, admittedly. That's largely because version one of it was a fairly dire and bewildering mess of teeny tiny icons, little spinning wheels while you waited for stuff to happen, and a general feeling of 'nope, not there yet'. Well, watchOS 3 fixes all that! Maybe! The best smartwatches available to humanity. Guess what's top! watchOS 3 is a free upgrade and it'll run on the current Apple Watch and the swimproof Apple Watch Series 2. Pokemon Go is also coming to the Apple Watch before Christmas, too. Our interim conclusion, subject to concerns about battery life that may well come as a result of its increased speed: this is a potentially huge improevment. Does it make us think Apple Watch will now go mainstream and gain iPhone type ubiquity? Absolutely no way. One of the main fails and arse pains with Apple Watch has been that it's just too damn slow. The whole point of a wearable is that info is there, bam! Pow! Otherwise, why bother? You might as well just pull your phone out of your pocket if your wearable is laggy. That's why the headline improvement in watchOS 3 is that it's been sped up. That's because it now holds opened apps in memory, and supports background updates. This means, Apple says, that apps now react “instantly”. And indeed, at WWDC, which admittedly is heavily stage-managed, apps did indeed appear to open “instantly”. A live sports score app that took a second or so to lumber into view in WatchOS 2 now pinged up “seven times faster” in OS3; to all intents instantaneously. The down side of this? It's very hard to see how that won't hit battery life, which already isn't amazing on Apple Watch. We'll see in autumn and/or 'fall'. Getting to apps on watchOS 2 could be truly horrible. You had to zoom in and around a weird dust storm of app icons of different sizes. The reasoning behind this was that it meant you could fit all your apps on one screen. But then you could probably use modern nano tech to engrave the complete works of Shakespeare onto a grain of rice but you're still not gonna want to watch it. Well now, watchOS 3 introduces an approach that's less 'clever' but hopefully a lot easier to use: whole-page tiles for all your apps, which you flick through with the Digital Crown (the big knob on the side of an Apple Watch) or by touch. The apps are called up with a press of the side button. The Watch's fitness and wellness elements are PUMPED! Activity is probably the key Watch app. It's a fairly standard step counter and fitness tracker, but implemented with Apple's usual flair, and backed with Apple Health, which is a wide-ranging platform for tracking your health and fitness stats. Of course, there are also numerous third-party fitness apps for Watch, too. So the headline news here may well be that all fitness apps can now run in the background when you're working out. In an obvious next step for Activity, watchOS 3 also lets you share your daily exercise stats as you bid to "close your rings" (eww!). This means you can see how well you're doing on steps and exercise minutes compared to your pals, similar to Jawbone, Fitbit and every other successful activity tracker ever. Even better, you can share messages as you work out, your racing heart rate once you're done and even deploy 'smack talk' via voice and preset messages such as, "I will crush you" and "Call that a pull up, fatso?" Laudably, there's specific support for wheelchair users, with Watch now tracking the different hand movements that are employed for several of the many different ways disabled people spin the wheels of their chairs. There are also two workouts specifically for wheelchair users. Reminding us all that tech heavyweights often come from California and have distinctly hippyish leanings when not charging you £700 for a phone, there's Breathe. This is what our resident wellness expert Spencer Hart has described as a "yoga meditation deep breathing thing". Deepak Chopra recommends it! This wrist-mounted aid to inner peace offers a number of preset breathing programmes , with visual and haptic reminders as to when to breathe. Super. Another criticism of watchOS 2 was that replying to messages was too fiddly. This seemed kind of mad, since being constantly alerted to messages is almost the raison d'etre of Apple Watch and, indeed, all other smartwatches. Now, preset replies ("I'm running late", "See you in 15", "I've just shat myself with excitement", etc) appear immediately below the message, rather than you needing to press reply. Also on board is handwriting recognition. So if Dave texts, "Coffee?" you can reply by scrawling the name of a nearby coffee outlet. Surprisingly, at WWDC, Apple chose to go with Starbucks. Who saw that coming? Even better, handwriting recognition works in both English AND Mandarin! Well yeah, of course there are. The key arrivals here are the new, Activity-based faces, letting you see how close you are to, ahem, "closing your rings" at a glance. There's also Numerals, which looked slightly unsightly, if we're being honest. But that's okay, because you can now swipe easily between Watch faces, which also now include Minnie Mouse, who has a selection of outfits to match the colour of your interchangeable Watch bands. If only the same could be siad for Apple's spokesman Kevin, there. You can now swipe up to Control Centre and there are shortcuts to oft used timers! Okay, arguably those aren't very useful. But Control Centre's arrival makes watchOS feel more like iOS, and now includes a link to Home Control. You still swipe down to get to the Notification Centre. Except maybe you won't, given that Apple's Notification Centre is somewhat less than awesome. Hopefully you'll never need this but Watch now boasts a personal alarm. Fire it up and it counts down to a call to 999, 911, or whatever the emergency number happens to be in the country you're in. Connection is via your iPhone's signal or Wi-Fi of you're connected. Personal alarm also notifies your contacts, with your whereabouts pinpointed, as well as pinging up your Medical ID. This, if you have set it up, is a secure container for essential medical stats and markers. This means that emergency services can see, for instance, your allergies, medications, diabetes status, and so on. We already knew that Apple had instructed developers to make their apps capable of running on their own or risk getting booted from the App Store. While that doesn't mean you're going to be able to use the Apple Watch without an iPhone altogether (at least not until Apple Watch 2), but it signalled that Apple had realised its smart timepiece should be capable of doing more than it has been able to do, so far. The Apple Watch went on sale in April 2015 and introduced watchOS version 1 to the world, but almost immediately users were looking forward to upgrades. It looks as though Apple is going to offer up yearly updates for its smartwatch software, just like iOS. 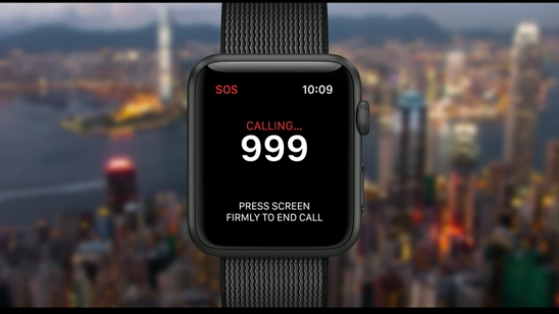 WatchOS 2 was previewed at the Worldwide Developers Conference (WWDC) 2015 in June and got pushed out to devices in September around the same time as the Cupertino company's other major software updates. Now it looks as though watchOS 3 is imminent. There was plenty in the watchOS 2 update as well: new watch faces, a 'nightstand' alarm clock mode, HomeKit upgrades, better social apps, improved standalone features (for recording workouts without an iPhone for example), and deeper Siri integration. If Apple sticks to its previous scheduling then we can look forward to a preview of watchOS 3 in June at WWDC 2016. We might also see a new version of the Apple Watch itself, but for now we'll be concentrating on the software side of things.